The Cordial House Hostel offers an unbeatable combination of economically priced rooms and a perfect location for quality seeking budget travelers in the center of the old town, Sultanahmet. Since Cordial House opened its doors to budget travelers it has rapidly gained a reputation as the Istanbul's No.1 hostel accommodation for quality seeking budget travelers. 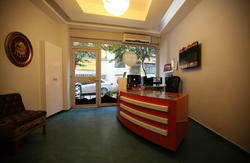 Cordial House has a central Location in Sultanahmet, Istanbul. Just a few minutes walk from the Grand Bazaar, Blue Mosque, Hagia Sophia, the Underground Cistern, Topkapi Palace and all the main attractions. Cordial House is also close to trams, buses, trains and airport shuttle stops. Which ever way you arrive into Istanbul, Cordial House is easy to get to. 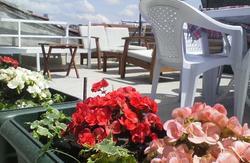 Cordial House has a full range of facilities for its guests to enjoy at the end of a hard day visiting the sights. Common room: A very lively and air-conditioned common area where you can meet other travelers. Bar: You can enjoy famous Turkish pilsener 'Efes Pilsen' as well as International spirits and local Turkish drinks. 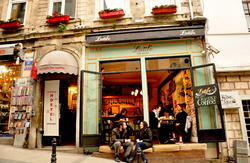 Cafe: Our cafe has a tasty variety of Turkish and Western food at affordable prices. Our cafeteria is even popular with the local university students. It is open from 7 a.m. until mid-night. Information desk: From our information desk you can find the answers to all your turkey travel questions. From here you can also book a variety of Istanbul and Turkey tours. Computer/ internet: We have a computer dedicated solely for our guests to use for catching up on E-Mails or just surfing the web. Satellite TV: News, sport and movie channels like ESPN, Fox Sports World, Euro-sport, Sky News, CNN, Star Movies, National Geographic, Super-sports and many more. Hot water: Cordial House has 24 hour Hot and Cold running water. Luggage room: A luggage storage room is available free for our guests use. Free luggage storage for 1 day usage, Long term luggage storage for a fee. Safe: Our safe is also available for our guests to store valuables. Wake -up Service: A Wake-up service is available 24 hours a day. Airport Shuttle: An airport shuttle can be booked to pick you up from Cordial House day and night. Go down the escalator, through the sliding glass doors, turn right and follow the Hafif Metro/Light rail system signs along the broad underground concourse to the HavalimanÄ± (Airport) Metro station on the left at the end. This concourse beneath the parking garage connects the Domestic and International terminals. Buy one or two Metro tokens (jeton) at the booththe price is marked on a paper sign in the window, and should be TL2 each. You'll need two tokens to travel from Atatrk Airport to Sultanahmet, Eminn or KabataÅŸ. Pass through the turnstile, descend the escalator (or elevator) and board a Metro train for Aksaray. The HavalimanÄ± (Airport) station is the end of this Metro line, so you can board any trainthey all go to Aksaray. You can't get the wrong train. Get out at Zeytinburnu, the 6th stop. Exit the Metro train and purchase another token to enter the tram turnstiles on the same platform. Look for trams marked Eminn or KabataÅŸ (not BaÄŸcÄ±lar). (Eminn and KabataÅŸ are stations on the same line: Eminn is part way along to the tram terminus at KabataÅŸ.) Board the tram to Eminn and/or KabataÅŸ. Because Zeytinburnu is the western terminus of the tram line, you have a good chance of finding an empty seat. (If the tram is already crowded and your luggage is bulky, you may want to wait for the next tram so that you can get a seat. Ride the tram eastbound to CEMBERLITAS, the 15th stop (the recorded station-stop announcement says CEMBERLITAS, and get out. Then take a right on the first turn and walk 60 meters straight, you will see Cordial House. Those whod like to waive of all trouble with the bulky luggage may take the airport taxi. To drive from the Ataturk International Airport to Sultanahmet is about 16 km in total. It takes about 20-25 min. Please do not forget to ask the driver to turn on the taximeter. Private transfer cost: 30 euro per car up to 4 person in one vehicle. Please let us know your flight details (flight number, the city you are departing from, airlines and estimated arrival time) if you would like to have this service. * taxi ( 40-45 Euro ) or take a Shuttle bus to Taksim and then a taxi to Sultanahmet We advise you not to take a taxi (you may be overcharged and taken around the city first). 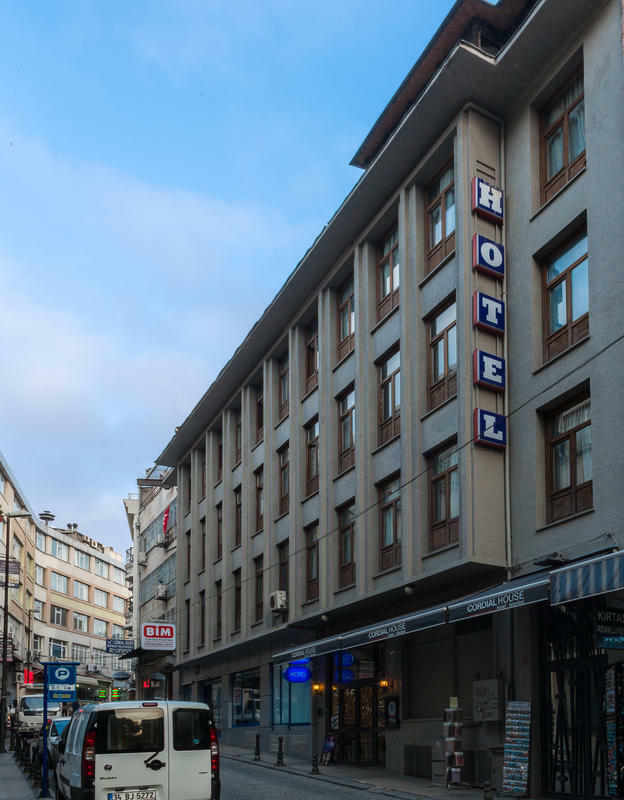 We are ready to help you and provide all the information you need to make your stay in Istanbul as enjoyable as possible..
* Directions for independent travel to Cordial House - Sabiha Gokcen Airport (SAW) - Hotel taxi ( 40-45 Euro ), Shuttle Bus to Taksim and then take a taxi to Cordial House Hotel.